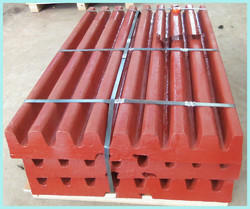 We are the leading manufacturer and exporter of the Jaw Crusher Spares. 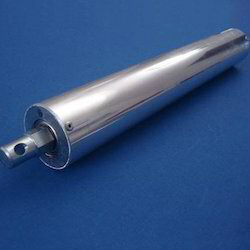 We offer optimum grade Pull Back Rod to our prestigious customers. The rods offered by us are widely used for various mechanical fastening applications. These rods are precisely designed from optimum grade stainless steel, which is procured from well known vendors. With our vast and well connected distribution network, we deliver these rods within the fixed time frame. Owing to the vast experience and knowledge of this field, we have been able to offer a wide range of high grade Jaw Plates. The offered plates find wide application in various stone crushing applications. Due to their large crushing ability, low maintenance, impeccable design and robust construction, these plates are highly demanded in the market. We offer a wide range of supreme quality Crusher Spring to our prestigious customers. 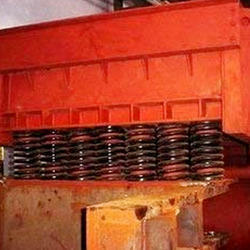 These crusher springs find wide application in various construction industries. The stainless steel, which is best in the market, is used for manufacturing of these springs. Furthermore, these springs are available with us at cost effective market prices.